Acclaimed author Noel Riley Fitch, abetted by noted artist Rick Tulka, serves the dish on Select, the famous Montparnasse cafe that for nearly nine decades has been so vital to Paris and its intellectual denizens: from Hemingway, Beauvoir, Picasso, James Baldwin, and George Plimpton to the writers and artists who continue to work quietly there in the back room or heatedly debate every topic imaginable into the night. The artists have their work on the walls; the novelists include the cafe setting in their fiction. The quiet and drama of the Select world illustrates the centrality of cafes -- particularly this one -- to Parisian social, cultural, and intellectual life. 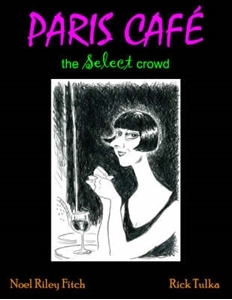 Blending pithy profiles and witty drawings of clientele and staff, the book is organized around a history of the cafe, its daily and seasonal rhythms, particular colorful patrons, and even its typical cafe/brasserie food (including a few recipes).